The central banks of Lithuania and Ukraine have committed to working together to promote the development of financial innovations and have signed a Co-operation Agreement in the Area of Innovation Development. According to a press release by the Bank of Lithuania, the deal has been signed last week in Indonesia, during an annual meeting of the International Monetary Fund. «Given the avid interest from our Ukrainian counterparts and the knowledge we have acquired as part of our successful cooperation with the Monetary Authority of Singapore, we stand ready to share the best practices in developing a FinTech-conducive regulatory environment, providing consultations to innovation-oriented market participants and paving the way for more convenient mobile payments,» commented Vitas Vasiliauskas, Chairman of the Board of the Bank of Lithuania. 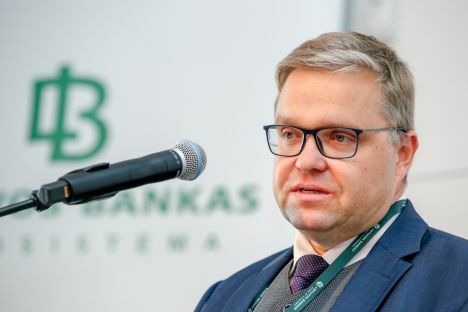 The cooperation agreement is expected to allow both central banks to exchange experiences in FinTech regulation and supervision, explore joint innovation projects and develop FinTech-friendly regulatory environment, wrote the Bank of Lithuania.